Line a baking tray with baking paper. 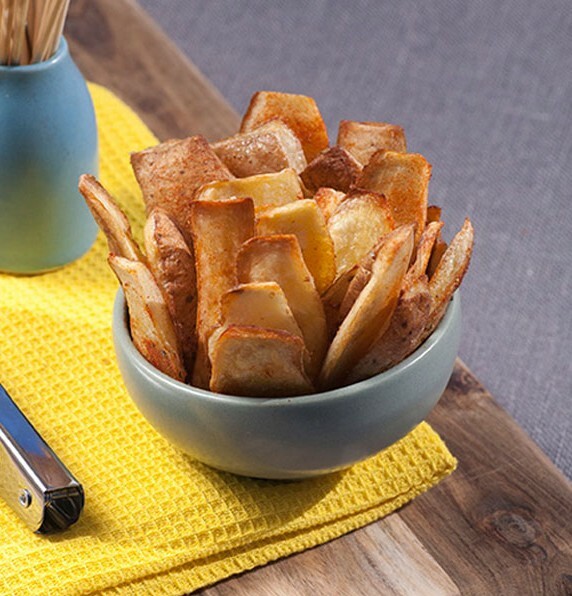 Toss potato skins with salt, paprika, pepper and olive oil. Evenly place seasoned potato skins on a baking tray. Bake potato skins for 20 minutes or until crispy. Combine sour cream and chill sauce for dipping. Yum! TIP: Make a big batch and freeze. You can pop the skins into the oven straight from the freezer!